The loss with white pieces proved quite costly for Viswanathan Anand as he slipped to joint sixth in the standings in the eight-player round robin tournament. Former world champion Viswanathan Anand continued to struggle against nemesis Magnus Carlsen of Norway and lost after a blunder in the fourth round of Grenke Chess Classic now underway here. 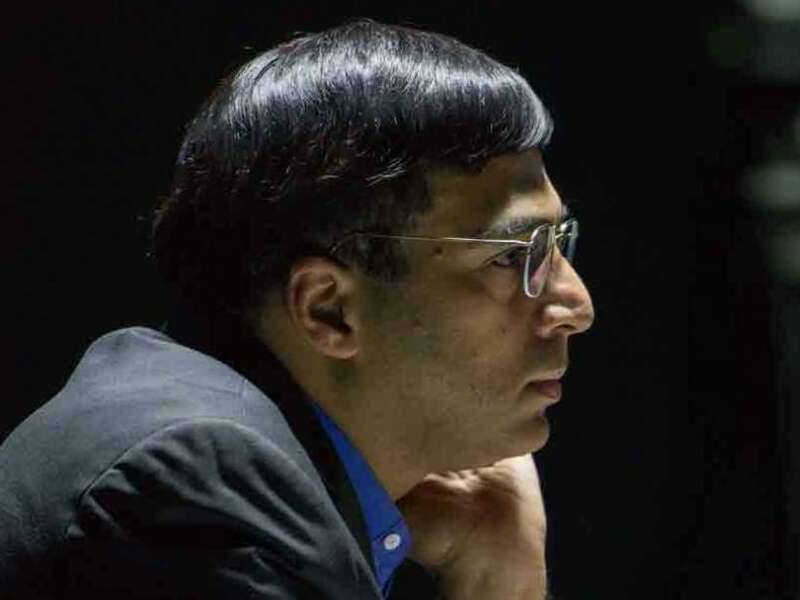 The loss with white pieces proved quite costly for Anand as he slipped to joint sixth in the standings in the eight-player round robin tournament. The Indian will now be under pressure to score in the remaining three games to come back to a par score. Riding high on his success against Carlsen in round three, Arkadij Naiditsch of Germany emerged as the sole leader defeating compatriot David Baramidze. Naiditsch took his tally to a very impressive three points out of a possible four and is now trailed by Carlsen and Fabiano Caruana of Italy on 2.5 points apiece. Michael Adams of England played out a draw with Caruana in the third round to share the fourth spot along with Etienne Bacrot of France who signed peace with Levon Aronian of Armenia. Anand and Aronian are sharing the sixth spot on 1.5 points each while Baramidze slipped to the bottom of the tables with one point in his kitty. About three weeks before Carlsen played the Dutch defense as black and lost to Anand's long-time second Radoslav Wojtazek of Poland in the Tata Steel tournament. While that was the Leningrad variation, the world champion decided to try out the Stonewall set-up this time to ensure a lively game. Anand got a slight advantage in the early stages of the middle game that had a typically locked centre but Carlsen made his bid on the queen side by advancing his pawn to the sixth rank. After a rather innocuous plan, Carlsen got the chance to open up the centre and soon his pawn on sixth rank started calling the shots. Anand was not out of the game, but the pressure proved disastrous for the Indian when on the 32nd move he simply blundered and walked in to a lost position. Instead, there was still a defensive resource that escaped Anand's attention. The game lasted 36 moves. Naidtisch was pleasantly surprised to find Baramidze launching a premature attack out of an English opening as white. Baramidze gave up a rook early for an elusive attack and when he lost another piece, it was easy pickings for Naiditsch. Caruana tried to make an impression and even won a pawn against Adams out of a rarely-played variation in the Slav defense. However, the English Grandmaster played resourcefully to force a draw in the rooks and pawns endgame. Bacrot played out a tame-draw with Aronian out of a Queen pawn opening. The Armenian came up with a home-cooked idea and Bacrot could not find any real advantage. Results found 4: V Anand (Ind, 1.5) lost to Magnus Carlsen (Nor, 2.5); David Baramidze (Ger, 1) lost to Arkadij Naiditsch (Ger, 3); Etienne Bacrot (Fra, 2) drew with Levon Aronian (Arm, 1.5); Fabiano Caruana (Ita, 2.5) drew with Michael Adams (Eng, 2).